We’re starting our second month of Handpicked Preschool Song Recommendations. With the start of each month, you get a bonus from me: a music-related book recommendation and a song recommendation. Today, I’m going one step further. I’m giving away a copy of today’s book recommendation to some lucky subscriber! Keep reading to find out more. This is a silly song. But, sometimes I just love silly! And, I’m going to venture a guess that your preschooler probably does too. This song makes me laugh, smile, and move (and sort of makes me want to jump on the bed)! I hope you’ll find the same to be true for you. 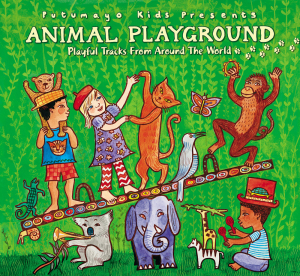 I stumbled across No More Monkeys on a Putumayo Kids album. These albums are curated collections from talented musicians around the world. No More Monkeys is by the artist Asheba. I didn’t know much about Asheba (before this post! ), but if Reggae or Calypso is your thing, or you like what you hear of this song, I’m guessing Asheba could become a go-to for you! I love this song for the playful introduction your child will get to some great international music. If you happen to own a different version of No More Monkeys, it could be really fun to add this to your repertoire as an example of how the same song can sound different when performed in different styles. This song isn’t available on Amazon or itunes as a download (I’m not sure why!!). So check your local library for the CD, listen on Grooveshark, or watch it on Vimeo! Ok, we’re almost to the book giveaway. 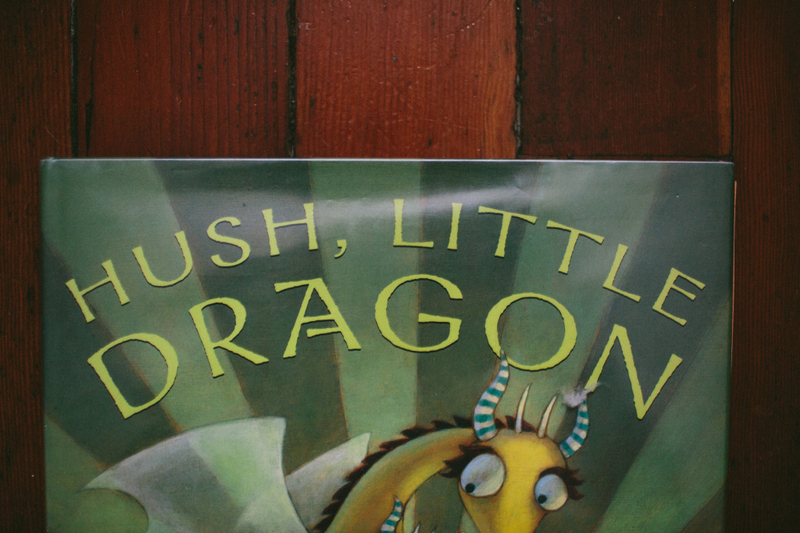 But first, I want to tell you how great Hush, Little Dragon is! This book (by Boni Ashburn and Kelly Murphy) is based on the classic song Hush Little Baby. 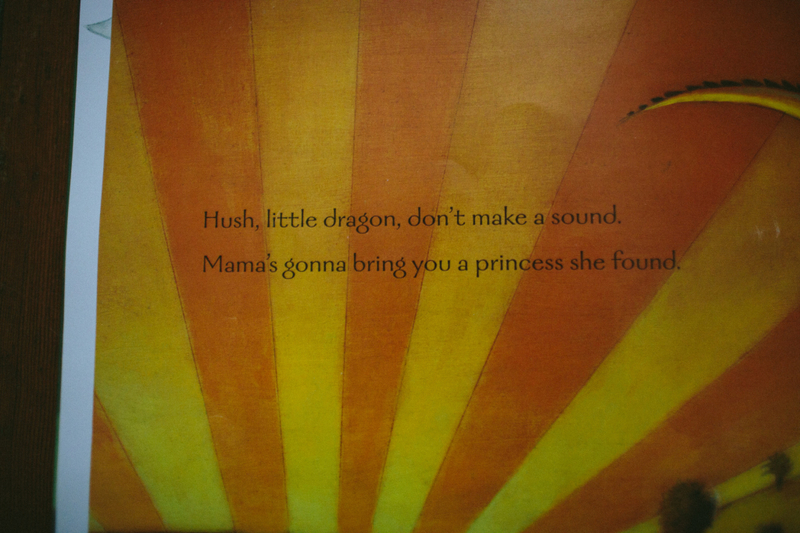 If you don’t know that song, then Hush Little Dragon won’t make too much sense to you. But don’t let that stop you! Go learn Hush Little Baby from some lullaby CD (Amazon has 27 PAGES of versions of it) and THEN check out this book. Here is an important thing to note about this book: you have to sing it. you don’t have to be awesome at singing to sing to your kids. You don’t really even have to be good. It is still valuable for your kids to hear you sing. Singing is like any skill—if you never try it, you can’t improve. 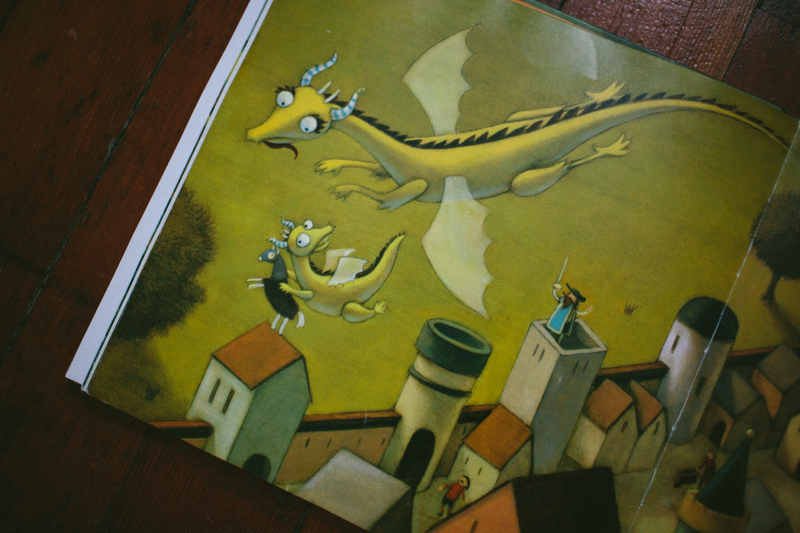 I’m giving away a copy of Hush Little Dragon to one of my blog subscribers. So, if you’re not subscribed, now is the time to do it! If you’re already subscribed, you should still enter your e-mail in the subscribe box to ensure you get entered. I’ve also included some easy options for increasing your chances of winning. Happy Sunday, everyone! Enter the giveaway below! Entries for the giveaway will be accepted until midnight on Saturday, February 8. Yes, I LOVE kids’ picture books!!! What a great song!! No more monkeys jumping on the bed~~i love the reggae vibe. Your recommendations are really fun! Thanks Stacia.